Cheerful, raised, textured dots and bright colors add to the good looks of this set of four ovenproof ramekins. Taller than other ramekins (each stands 2.5 Inch tall), the increased height gives them greater versatility in the kitchen. 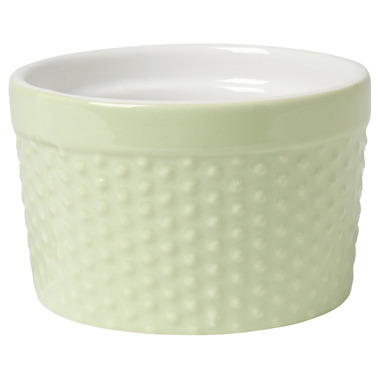 Made of stoneware, each ramekin measures 3.5 Inch in diameter and has a 12 ounce capacity. 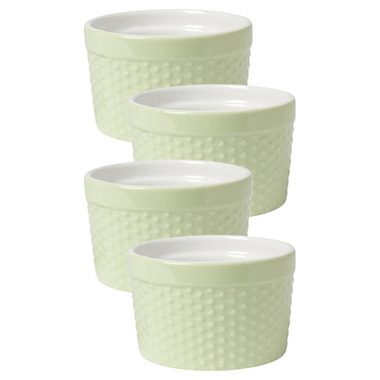 Set of four matching dotty ramekins, ovenproof and microwave safe.